Jacob Andrea Kammerer was born on 8 December 1857 in Niagara, Niagara County, New York. He was known as Jake. Johannes Kämmerer and Anna Elisabetha Dexheimer appeared in the US federal census of 1 June 1860 in Niagara, New York. Other members of the household included Jacob Andrea Kammerer, Margaretha Kammerer, Adam Kammerer, Elizabeth Kammerer, Susanna Kammerer and Philippina Kammerer. He was baptized/christened on 7 March 1868 at Zion Lutheran Church in Niagara, Niagara Falls, New York. Johannes Kämmerer and Anna Elisabetha Dexheimer, appeared in the US federal census of 1 June 1870 in Suspension Bridge, Niagara County, New York. Other members of the household included Jacob Andrea Kammerer, Adam Kammerer, Susanna Kammerer, Philippina Kammerer, Katrina Franziska Kammerer, Anna Marie Kammerer and Helen Kammerer. Johannes Kämmerer and Anna Elisabetha Dexheimer appeared in the New York state census of 1 June 1875 in Niagara County, New Yoirk. Other members of the household included Jacob Andrea Kammerer, Adam Kammerer, Philippina Kammerer, Katrina Franziska Kammerer, Anna Marie Kammerer and Charles Otto Ernest Ford. While John, Elizabeth, Adam and Jacob "Kimmerer" are recorded at the bottom of page 51, daughters Phebe, Katie, Mary and Helen "Kimmerer" are enumerated 10 pages away at the top of page 62, appearing to be daughters of Daniel and Elizabeth Ott. Johannes Kämmerer and Anna Elisabetha Dexheimer appeared in the US federal census of 1 June 1880 in Suspension Bridge, New York. Other members of the household included Jacob Andrea Kammerer, Katrina Franziska Kammerer and Helen Kammerer. He was a railroad clerk, according to the 1880 census. The following appeared on 22 August 1885 in the Suspension Bridge Journal: J. A. Kammerer, of Indianville, Northwest Territory, a former resident of this place, is to be married to Miss Small, of Buffalo, today [sic]. Mr. K.'s many friends here will unite in wishing him a happy future. He married Christina Sophia Schmal, daughter of Johann Peter Schmal and Christina Anna Volk, on 26 August 1885 in Buffalo, Erie County, New York. Jacob Andrea Kammerer and Christina Sophia Schmal appeared in the 6 April 1891 census of Canada in Assiniboia West, Moosebone & Regina District, Saskatchewan, Northwest Territories, Canada, (At this time, Assiniboia could refer to southern Alberta, or southwest Saskatchewan).. Other members of the household included Christina Elizabeth Kammerer. He was a sponsor at the baptism/christening of Norma Alberta Hoffman on 3 February 1895 at Zion Lutheran Church in Niagara Falls, Niagara County, New York. In 12 December 1897, Jacob Andrea Kammerer and Christina Sophia Schmal were living in Toronto, York County, Ontario, Canada, at 87 Jameson Avenue when their daughter Jean was born. Jacob Andrea Kammerer and Christina Sophia Schmal appeared in the 31 March 1901 census of Canada in Toronto, York County West, Ontario, Canada, at 87 Jameson. Other members of the household included Christina Elizabeth Kammerer, Marcia Helena Kammerer, Hope Ameri Caroline Kammerer, Sybil Moline Fredericka Kammerer and Jean Robinson Kammerer. Also in the household was a mother's helper and one other servant. He was an electrician, according to the 1901 census. Jacob Andrea Kammerer arrived in the Port of New York on 20 December 1905, aboard the SS Kaiser Wilhelm der Grosse, having departed Southampton on the 13th..
Jacob Andrea Kammerer arrived in the Port of New York on 23 December 1910, aboard the SS Lisitania, from Liverpool. Jacob Andrea Kammerer and Christina Sophia Schmal appeared in the 1 June 1911 census of Canada in Toronto South, York County, Ontario, Canada, at 87 Jameson Avenue. Other members of the household included Christina Elizabeth Kammerer, Marcia Helena Kammerer, Hope Ameri Caroline Kammerer, Sybil Moline Fredericka Kammerer and Jean Robinson Kammerer. He was a financier and employer, according to the 1911 census. The following appeared on 17 July 1911 in the Niagara Falls Gazette: [Died] Susan Young, nee Kammerer, wife of Oliver Young of this city. She leaves husband, mother, father, two daughters, Mrs. George Benning and Miss Alice, two sons, William of this city, John of Kansas City, Mo., also six sisters, Mrs. Louis Eimer, Mrs. Chas. Ford, Mrs. Albert Hoffman, Mrs. Fred Borth and Mrs. George Barnett, both of Buffalo, and Mrs. C. Frank of Devil's Lake, Dakota, one brother, Jacob Kammerer of Toronto. Funeral from family residence, 1347 Whitney avenue, Tuesday, July 18th, at 2 p. m., and from the Zion Lutheran Church at 2:30. 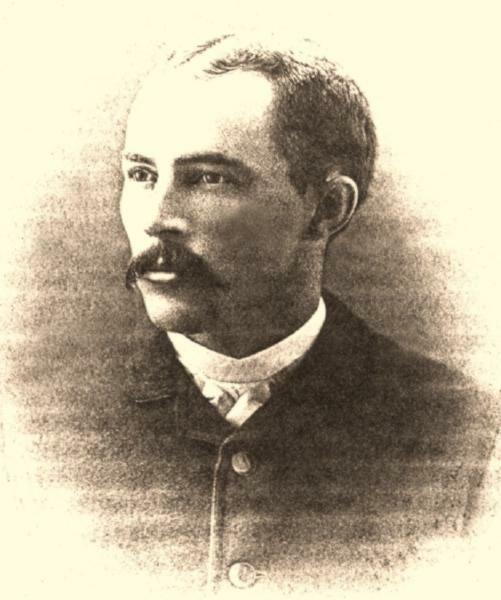 In 1914, a biographical sketch of Jacob Andrea Kammerer was prepared by Advance Press Service of Successful Men, "compiled by experienced newspaper men for general news paper and library reference by The Writers Press Association" in New York City. Jacob Andrea Kammerer died on 16 January 1921 at age 63 in Cochrane, Temiskaming, Ontario, Canada. Christina Sophia Schmal became a widow at his death. The following appeared on 18 January 1921 in the Niagara Falls Gazette: Word has been received by relatives in this city, of the death of Jacob A. Kammerer of Toronto, Ont. Mr. Kammerer contracted pheumonia and died very suddenly, while on a business trip to Cochrane, Ont. Mr. Kammerer was born in this city and lived here for about 25 years. He was a son of the late Mr. and Mrs. John Kammerer of Lockport street, and brother of Mrs. Margaret Borth and Mrs. Geo. W. Barnett of Buffalo, Mrs. Louis Eimer, Mrs. Charles O. Ford, Mrs. A. J. Hoffman and the late Adam Kammerer and Mrs. Oliver Young. Mr. Kammerer had made his home in Toronto for many years, and is survived by his widow and five daughters. The following appeared on 20 January 1921 in the Niagara Falls Gazette: Died in Cochrane, Ont., Jan. 16, 1921, J. A. Kammerer, aged 63 years, beloved husband of Mrs. Tina Kammerer, father of Mrs. Frank Bradford, Toronto, Mrs. Harry Forester, Chicago, Misses Hope, Sybil and Jene Kammerer, brother of Mrs. Margaret Borth, Buffalo, N.Y., Mrs. Louis Eimer, city, Mrs. Albert Hoffman, city, Mrs. Charles Ford, city, Mrs. C. Frank, North Dakota. Funeral was held from the home of his sister, Mrs. Louis Eimer, 422 Fifth street this afternoon at 2 o'clock, Rev. David Henry Weeks officiating. Burial Oakwood cemetery. Jacob Andrea Kammerer -- President, Ontario Yarn Co., Markham; President, Credit Vally Stone Co., Ltd. Born Niagara City, N.Y., Dec. 8, 1857, son of John and Mary Elizabetha (Dexheimer) Kammerer. Educated: Private Tuition; Public Schools, Niagara City. Began with Erie Railway, and for twenty years served with various railways in United States, Canada and Mexico as Dispatcher, Superintendent of Telegraphs, and Vice-President; was General Agent, Royal Electric Co., Montreal, 1891-1900; one of the organizers and Director of Cataract Power Co., Hamilton, the first Plant for the long distance transmission of electric energy in Canada, thirty-eight miles from DeCew Falls, near St. Catharines, to Hamilton; formerly Vice-President, Hamilton & Dundas Railway; President, Standard Loan Co; Director, Hamilton Street Railway; Hamilton Radial Railway; organized Woods Products Co. of Canada, Ltd., and was President five years. Member National Geographic Society; member American Association for the Advancement of Science; member American Electro-Chemical Society; Fellow, Royal Society of Arts, England; member Society International Peace. President of "Georgina Houses," Toronto, a home for business women earning their own living; a Governor, Bishop Strachan School for Girls; member of Corporation, Trinity College. Served in Indian Campaign, American Southwest, 1881; with Home Guards, Riel Rebellion, Canadian Northwest, 1885. Married Christina Sophia Schmal, Buffalo, N.Y., Aug. 25, 1885; has five daughters. Clubs: National; Albany; Royal Canadian Yacht; Parkdale Canoe; Engineers; Mississaugua Golf and Country; Lakeview Golf and Country; Caledon Mountain Trout (Hamilton); Governor, United Empire (London, England). Society: A.F. & A.M. Independent-Conservative; Anglican. Address: Toronto, Ont.